Sorry bloggers! 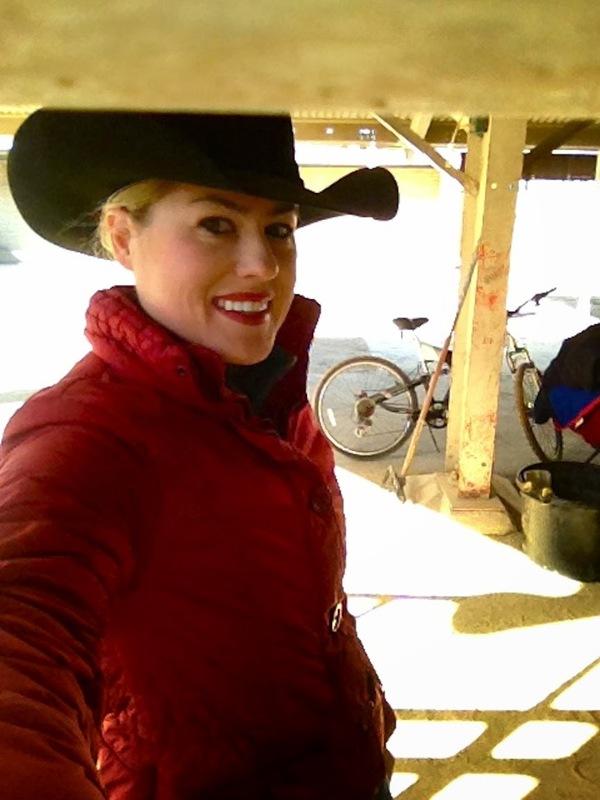 I have not been trying to ignore you but I have been busy doing the cowgirl thing at the PCCHA Futurity. It seems like my days go by fast, fast and then I go to sleep just to do it all again! 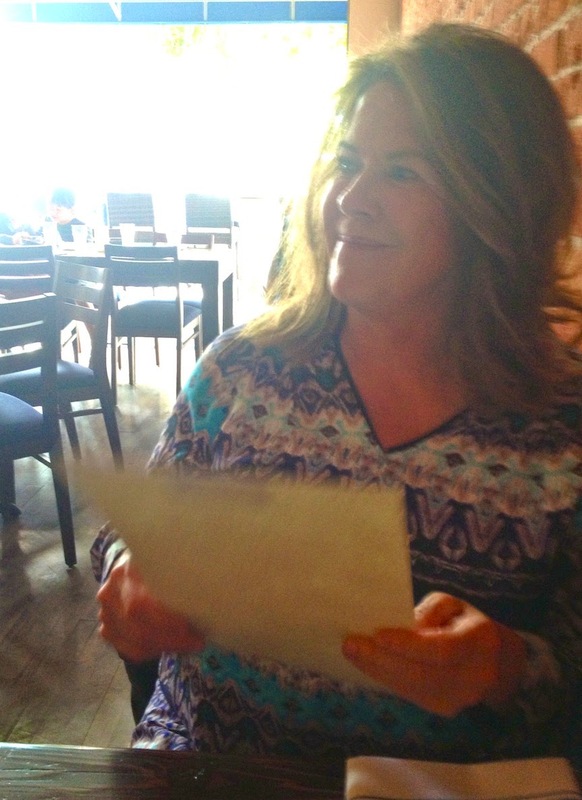 I was lucky enough to have my three year old, Metallic Tears make the Open Intermediate Finals and Open Gelding Stakes with Russ Elrod so my mom and I had to go to lunch to celebrate! My mom is cute! She seriously is the #1 fan of cutting horses! Especially my horses! 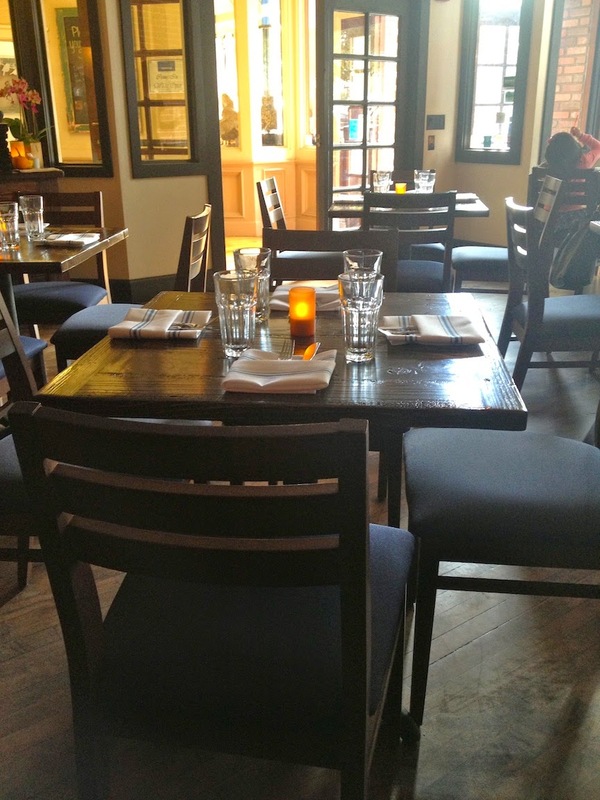 La Cosecha is located in the downtown square area of Paso Robles and hosts an outdoor and indoor dining area. Their food features mostly Latin cuisine and in tapas sized options. 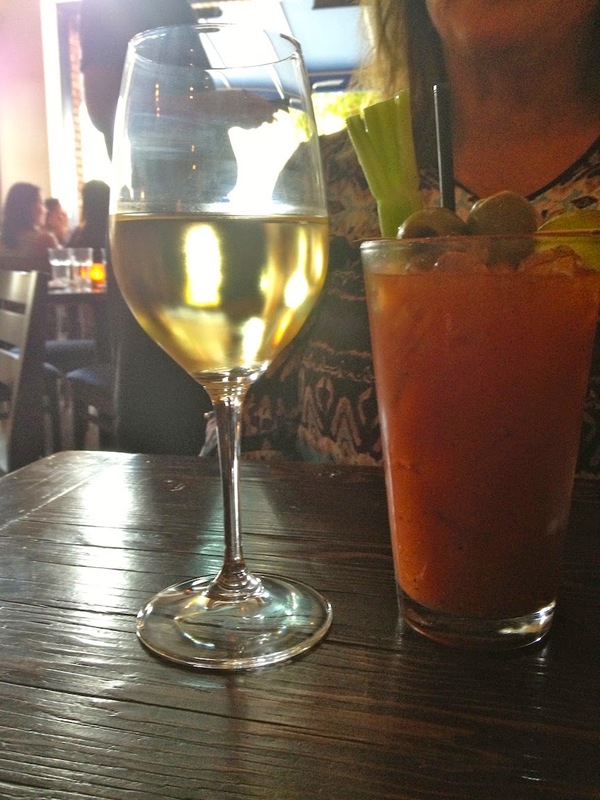 We both were excited enough to want to cheers with an adult beverage so I ordered Tolosa Chardonnay and she went for one of La Cosecha's featured Bloody Mary's. I went for the White Fish Special and asked to be served mashed potatoes served with it. The fish was cooked perfectly and the mashed potatoes were stunningly delicious. They should be able to be ordered by the bowl. The white wine, heirloom tomato and caper sauce that the fish was topped with was terrific as well. The braised and grilled pork ribs caught my eye and I was glad to get in a bite off my mom's plate. They were totally fall off the bone tender, in fact it was a dish to be eaten delicately with a fork. It was featured saying it was to come with black beans but it was served with rice only much to my mom's delight! My horse ended up doing great in the finals winning about $8000! I was so proud everytime he walked down to the herd for his performance! We have been having such a good show! It is now my turn to deliver, I have made the finals on my horse, Hip Hip Roo Rey (Scotty) in the Non-Pro Classic Challenge and in the Non-Pro Futurity and Gelding Stakes on Metallic Tears (Elvis). I am so blessed and couldn't be more thankful to my family for being so supportive! my husband for coaching me through everything... and all my helpers! It takes a village! !